Norma Lipton, 95, of Pottsville, passed away on Sunday afternoon in her residence. Born in Pottsville, on September 28, 1923, she was a daughter of the late Nathan and Serene (Eichenbaum) Antokolitz. She was a graduate of Pottsville High School and Kutztown University, where she earned an Associate degree in Art and where she met her future husband, Sol Lipton. Norma proudly served her country in the U.S. Marines during WWII. She was a lifetime member of Oheb Zedeck Synagogue, where she belonged to the Hadassah and Sisterhood. 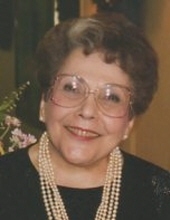 Norma was owner of Nathan's Furniture Store, Pottsville, which was started by her father, for 50 years, retiring in 1995. She had a special talent for color and design and through the years received numerous awards. One of the awards was in 1977 when her store was one of six in the nation to receive a national award from "Gifts and Decorative Accessories" magazine for overall store display and promotion. She was a member of the National Home Furnishings Association; Interior Design Society; and the Tri-State Home Furnishings Association. In her free time Norma enjoyed needlepoint and painting oil portraits and spending time with her family. In addition to her parents, she was preceded in death by her husband, Sol Lipton, on March 16, 1981, and to whom she was married 37 years; and a brother, Paul. Norma is survived by two sons: Ian H. Lipton, husband of Lois, of Pottsville; Robert B. Lipton, husband of Mary, of Pottsville; grandchildren: Stacey, Nathan, Eric, and Adam; great grandchildren: Gabriel and Elise; sister, Gelda Cook, West Palm, FL; and several nieces and nephews. Funeral services at will be held on Wednesday, January 23rd at 12:00 p.m. at Lord-Bixler Funeral Home, Inc., 1818 Mahantongo St., Pottsville, with Rabbi Brian Michelson officiating. A visitation with the family will be held from 11:00 a.m. until time of service in the funeral home. In lieu of flowers the family request contributions in Norma's memory be sent to: The Sol Lipton Scholarship Foundation, 316 N. Center, St. Pottsville, PA 17901. Interment with military honors will follow in Oheb Zedeck Cemetery, Pottsville. To send flowers or a remembrance gift to the family of Norma Lipton, please visit our Tribute Store. "Email Address" would like to share the life celebration of Norma Lipton. Click on the "link" to go to share a favorite memory or leave a condolence message for the family.